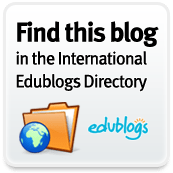 #ELTchat Summary: Dogme & Formal Assessment – the odd couple? At first glance, the free-wheeling Dogme approach to teaching and formal assessment do not sit well together. Rather they would appear to occupy opposite ends of the spectrum, representing as they do either “winging it elevated to an art form” or rigid rows of desks and standardized testing models. The #eltchat on Wednesday 9th November 2011 tried to find out whether opposites might in this case attract, or at the very least whether this odd couple could form some kind of lasting (if uneasy) relationship. If you’d like to look at the original transcript for this chat, you can find it on the #ELTchat wiki. Dogme, like the term formal assessment, means different things to different people. Dogme is NOT winging it (PatrickAndrews), rather it is teaching without materials but with preparation (the teacherjames). You prepare your classes but go with the flow (esolcourses). Experience and skill can help with this (Shaunwilden), though pre-service teachers can be trained (the teacherjames). You should always remember the students’ needs and wants and not impose dogme(bethcagnol), and it works well with higher levels (rliberni). Formal Assessment could be achievement tests or proficiency tests (ljp2010), exams (rliberni) or portfolio based (esolcourses). In general, people seemed to view “formal” assessment as tests or exams imposed on the class from outside, either by school management (e.g. end of year tests), national exam boards or student needs (e.g. IELTS / FCE / TOEFL etc). Whether the two can co-exist is difficult to answer. As ever with these things the answer would seem to be “it depends”. The means of assessment (the testing tools) and the criteria being assessed both affect things (esolcourses), though if the test is a good one, it shouldn’t matter how the learners get there (teflgeek). Tests, unfortunately, are not always very good (PatrickAndrews) and may require specific item knowledge that therefore must be covered in class (ShaunWilden), or development of a narrow range of skills (esolcourses). Is the problem therefore the testing method, not the teaching method (teflgeek)? The fact that most schools don’t actually test properly certainly doesn’t make it any easier (Shaunwilden). A Portfolio based approach to testing would be a better fit with a dogme approach to teaching (PatrickAndrews) and has worked for some (esolcourses), but teachers don’t often get the choice of test type (rliberni). Most testing is very “one size fits all” and there is a need for less rigidity and a more learner-centred approach to testing (esolcourses), though commercial realities make this difficult to implement (rliberni). Overall, we seem to be stuck with whatever we’re given to work with / aim towards. Given then, that formal testing is often prescriptive and imposed, how can we reconcile the destination with the journey? Test / exam preparation often requires using past papers and extensive practice of task types (AlexandraKouk). Task familiarization is important (rliberni) but there is a difference between test familiarization and test practice and most of the research suggests test practice only goes so far (teflgeek), which is why you might want to ditch the exam material as loads of past papers are unnecessary (ShaunWilden). Though for learners who want to get through a test (e.g. IELTS et al), learner-centred teaching must by definition involve the test (rliberni). ljp2010 suggests asking the students to make exam tasks based on topic areas they’re interested in. harrisonmike asks his students to do 1 minute “lightning talks” on familiar topics, rliberni recommends these for IELTS in particular! rliberni suggests lateral thinking puzzles for question practice, speculation, conditionals and the like. phil2wade suggests online blogs for self reflection and diagnosis. Fionamau prefers to graffiti her notebook…! Hopefully all this is an accurate reflection of the discussion that took place – if you have anything to add – just let me know. Thanks, enjoyed this a lot.